Thanks to everyone for your kind comments about the Part 1 collection. 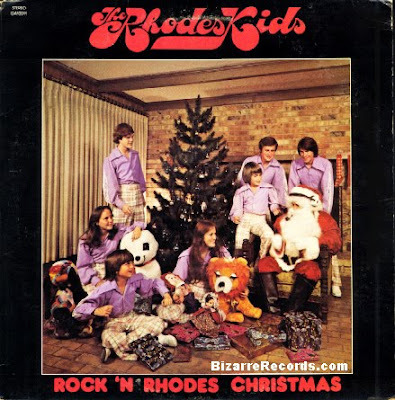 Since these were such a hit, I couldn't wait to post some more of these jewels, courtesy of BizarreRecords (such a great site, and I can't wait to post some of what I found after the holidays.) I have no explanation nor real commentary for any of these...they speak for themselves. I will say, however, that I'm willing to bet the most difficult one to stomach must be the Star Wars one - R2D2 and C3PO sing??? oh man those are classic! 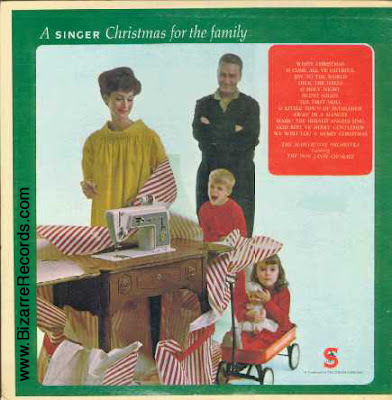 The guy in white christmas looks a little too happy for my liking, wonder what he's been drinking? These, these are just stunning! 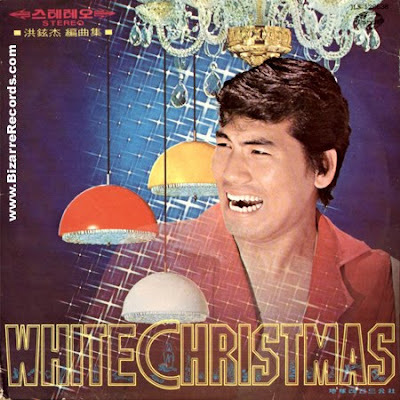 Especially the White Christmas one: poor fella looks like he needs a nice sit down and a cup of tea. Or at least for someone to take away those scary 1960s light fittings. 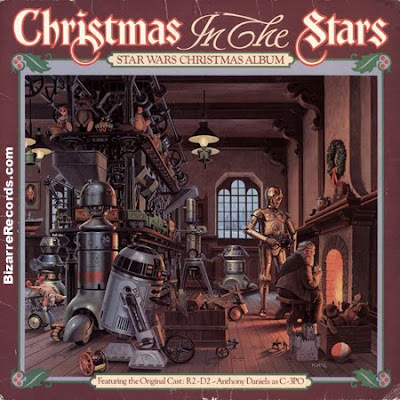 And a Star Wars Christmas Album? Didn't they learn their lesson with the truly terrifying 1978 Christmas Special? Ah thanks again everyone for the comments...glad you enjoyed these. Hope to have a third part later in the month. Richard - a Star Wars Christmas special? Whoa, I have to remember to look that one up on YouTube later! If you can see it, I highly recommend it. 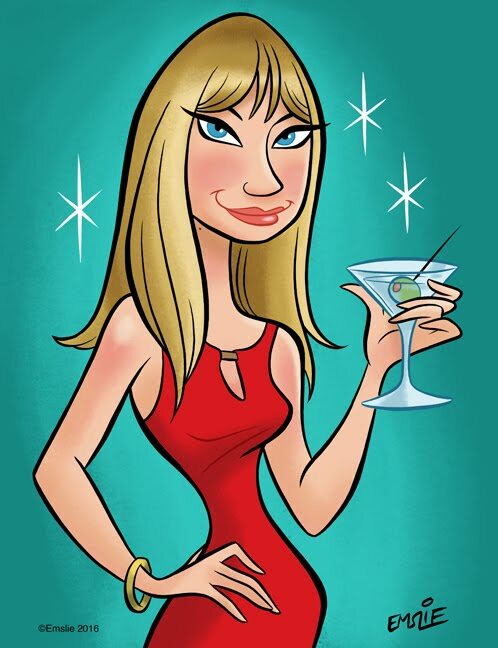 Though you might want to have a stiff drink to hand: it's pretty excruciating to watch! It was made in 1978 (so, before The Empire Strikes Back). it features Chewbacca. A lot. Art Carney guest stars. Princess Leia sings along to the theme tune. In all, it's two of themost wonderfully bad hours of television ever made! George Lucas has done his best to disown himself from it, and he refuses to ever let it be repeated or released on DVD. 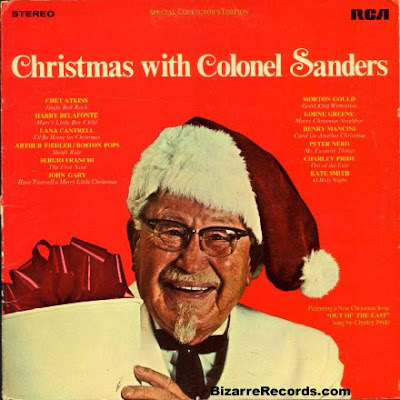 Oh darn, I was born too late to hear the Colonel Sanders Christmas album!